A good mobile phone probably is the one that just works. Tired of using Nokia S60 phones and sophisticated smartphones, I had recently purchased a used Nokia 2700 Classic which arrived in mint condition and also came with a fresh operating system. 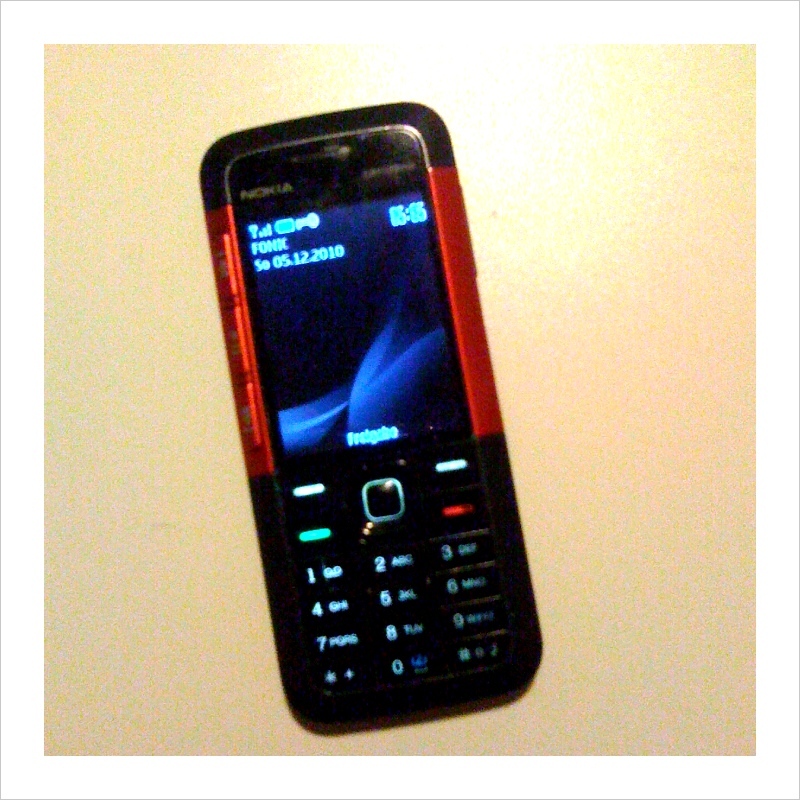 A good phone – that still didn’t have the keypad I was looking for, so I sold it and bought this one instead: a Nokia 5310 music xpress. The 5310 is a rather old phone, introduced in Feb. 2008 (? ), with an older S40 5th edition firmware. It is very slim, has a nice keypad and comes with a very good and responsive mp3 player. As you can see from the picture, it’s a used phone and also arrived with a broken display (which is why it was rather cheap :-). I like it, though. It seems to be the perfect no-thrills phone that’s perfect for the pocket. And yes, it is a bit slow and the version of its operating software isn’t my first choice, but it does its job and does it well. I am also surprised that mobical.net is still active. This fine service helped me in snycing my Google contacts – a sync service that otherwise isn’t supported on this older firmware. Needless to mention that Nokia never really cared about existing customers and fixed this by offering Ovi.com for such older phones via a firmware upgrade. Yes, an Ovi apparently is available, but I failed in installing it on this phone and I am not really interested in having this sort of bloatware on my phone.